The following are three critical counsels from industry practitioners that move beyond the basic tips for integration planning and execution. Best practices prove that the people doing diligence should become part of the integration team in order to retain and revise information without redoing work or engaging in redundant tasks. When using the same individuals for diligence and integration, there is continuity which is invaluable during the often chaotic time of deal closing and integration. The benefits of this continuity are numerous. Consider for instance the time it would take for the diligence team members to do a full data transfer to the integration team. Would every bit of information really get transferred? What about the overlooked notes on notepads that do not get passed on? Obviously, even the best intended data hand-offs would end in some gaps and oversights. In addition, let’s say that in the best case scenario all of the information from the diligence team does get to the integration team - will the members of integration really go over all of this work? Most likely not because they will be under the gun and strapped for time, which, again, will result in gaps of knowledge and oversights. Consequently, the best, and the most efficient, way of integrating is to have overlap between the diligence team and the integration team. This model also increases the likelihood that the team will maintain its momentum and capture the synergies, or “low hanging fruit”, of the deal that are found within the first 120 days. While having a separate integration team is not possible for all companies, there are some things smaller corporations can do to make sure the key integration players have a balanced and manageable workload. In order for integration tasks to receive the attention they need, honest conversations between workers and Corp-Dev need to be had. What can actually be accomplished? Are there other day-to-day tasks or projects that can be handed off to other employees while certain people work on integration? In some cases, companies might consider hiring temporary workers and building this into the integration budget. The integration budget needs to be looked at very closely and with realistic eyes. Integration planning must begin at the beginning of the deal, and practices, integral team members, and plans must be established before the deal closes. More specifically, there should be 30, 60, and 90 day plans put into place. Additionally, a list of people for integration should be generated. When selecting an integration leader, recommendations should come from members of the diligence team and all candidates should be interviewed by the CEO - remember, strong integration practices and the valuing of integration comes from the top-down. 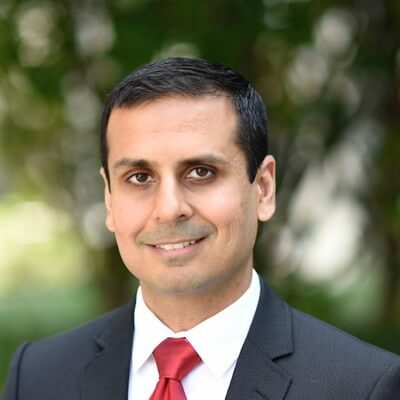 Standardized practices, honest communication, and overlap between the diligence and integration teams will help establish continuity, which is invaluable in the realm of M&A. 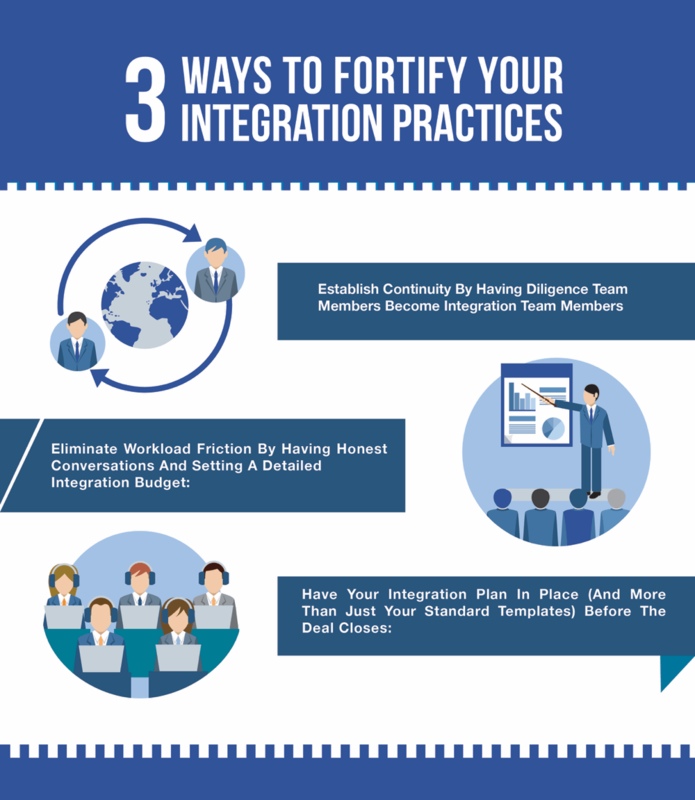 The results of robust integration practices are numerous: capturing synergies, maximizing deal value, maintaining momentum, and limiting employee burn-out; given these key components of successful deals, integration planning should be on the minds of all acquiring companies.